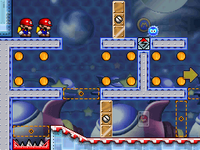 Magnet Sparkies (originally known as Sparkies) are enemies in the Mario vs. Donkey Kong series that move along the edges of magnetized surfaces. 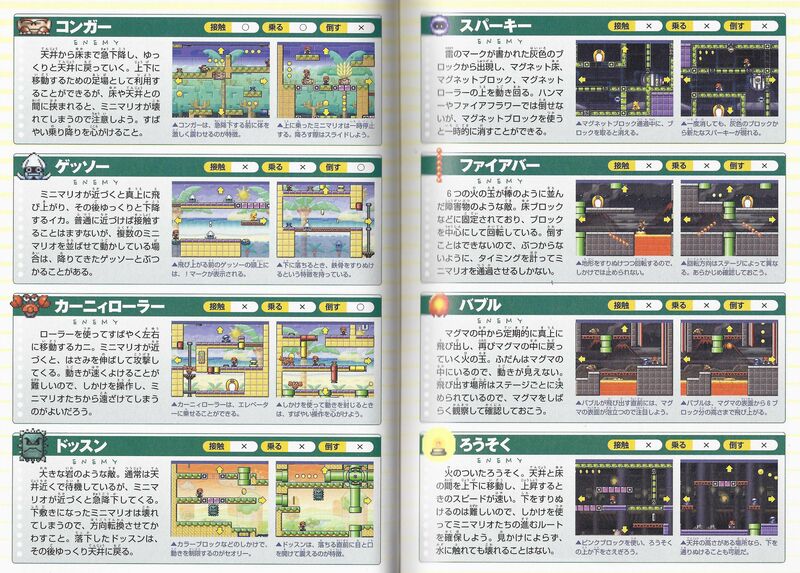 Sparkies first appear in Mario vs. Donkey Kong 2: March of the Minis. They specifically appear on the Magnet Mania floor, where they slowly move clockwise from the red side of metal blocks with an "S" engraving. If a Magnetic Block is disabled from underneath it, the Sparky will vanish with it and another one will soon generate from the original block. They resemble the appearance of a Spark from Super Mario Bros. 2. Magnet Sparkies reappear once more in Mario vs. Donkey Kong: Mini-Land Mayhem! They act much as they do in their previous appearance, except they move at a slightly faster speed and briefly retreat into their blocks (now known as Magnet Sparky Generators) upon touching it rather than passing them by. They appear in Cosmic Adventure, and are a solid blue rather than flash yellow. This page was last edited on September 17, 2018, at 10:32.